We will now be concluding our journey in learning basic Japanese numbers. Please be sure to have studied Lessons 9 and 10 before proceeding as they are required for the understanding of this lesson. Learning 100 and above will combine your current knowledge about Japanese numbers and introduce a few new number concepts. Please don't fret over the big numbers, focus primarily within the hundreds to thousands because in due time, you will grow accustomed to the really big numbers. In previous lessons we did not have to worry about how numbers were presented because those numbers weren’t large enough to be of a concern. In the United States, numbers are separated by thousands, meaning 1000 becomes 1,000. In other countries this may vary but large numbers usually are separated for readability. In Japanese, numbers are separated by thousands with a comma mainly in part to the western influence, however pronunciation can get a little tricky.We have already learned that 1 is ichi and have also learned 10 is Juu. Taking this step one zero further to 100, one-hundred is pronounced Hyaku. We’ve already learned how to count up to 99 and because of this learning how to count to 999 will be fairly straight forward. Just like when we counted 20 and 30, add the number you want in the front of hyaku, for instance 2 would be ni to create nihyaku or 200. Let's look at the chart below. Did you notice that 300 is pronounced sanbyaku instead of sanhyaku? The reasoning behind this involves some knowledge of advanced Japanese linguistics patterns. This explanation is lengthy and will be explained in an advanced lesson in due time. For now, please recognize that 300 is sanbyaku and not sanhyaku. Did you also notice that 600 and 800 don’t follow the typical pattern? The reason behind the difference is elementary. The reason is simply because pronouncing roku hyaku and hachi hyaku are very difficult. To make it easier to pronounce, roppyaku and happyaku were introduced. Thankfully these three changes are the only ones which you need to worry about. What about numbers like 101? This is very easy, in fact remember in the previous lesson when we’ve discussed two + ten + five = 25? Higher numbers follow the same pattern and for 101 it would be 100 + 1 or rather hyaku ichi. If you would like to create 203 you would do 2 + 100 + 3 (Ni Hiyaku San). In Japanese, the thousands can get a little tricky because it tries to adopt the western comma separator for thousands but yet the logic of the actual numbers conflicts with it. Let’s first learn how to count up to 10,000. This was straight forward but be sure you take special notice to san zen as it is not san sen and that 8,000 is Hassen and not hachi sen.
We have now reached a very big milestone, 10,000. These numbers are easy to learn but there are some important things to take note of. Did you notice the pattern? Counting this series was relatively easy but what happens if you want to count 11,000? How would you count it? The correct answer would be C) ichi man issen as it is easier to pronounce than any of the other. Whenever we add sen to higher numbers we would want to use issen as a rule. We’ve reached a fairly high number, this one will be very confusing at first because now we’re about to mix western culture with Japanese to create numbers that don’t make much sense. In English we say One + Hundred + Thousand to make one-hundred thousand (100,000) but in Japanese, we would say 10 + 10,000 or juu man. Another way to imagine this would ten-ten-thousand. This is confusing because 100,000 should actually be 10,0000 but it isn’t because of the western adoption. Let’s take a look at the following chart to reach 999,999,999. Go big or go home! Counting up to 999,999,999 in Japanese! We’ve just learned that 100,000 is juu-man, and assuming that we add another zero, what do you suppose this number will be? If juu is 10 and hyaku is 100, just by adding one extra 0, then one-million should be hyaku man. After one-million we can use the same logic for ten-million to create sen-man. However, we cannot do this for one-hundred million. For that number we’ll need to use oku or ichi oku. The usage of ichi oku and oku is the same as earlier when we learned the difference between man and ichi man. The unit of 100,000,000 is oku but the numbering is ichi oku. We’ve reached the very last segment for this lesson and almost the end of our counting journey. These are possibly the last sets of numbers you will ever need because there’s not much of a need to count beyond a quadrillion in Japanese unless you become a mathemetician or astrophysicist. There are numbers that exist but they remain beyond the scope of this lesson and necessity for this course. However if you’re curious there are lessons outside of this one that go beyond a quadrillion here. The printable flashcards are given at the end of the article in resources. Alternatively, you may use this link (PDF) to access them. These random number generators will help you improve your ability to count in Japanese. Once you know the number, click NEXT and a new number will appear for a limitless supply of numbers from 0 to 9trillion+. We have English to Japanese and Japanese to English. 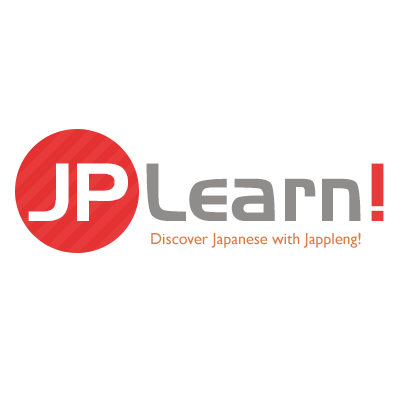 Our Journey in learning basic Japanese numbers ends here. Learning numbers isn’t always easy and it is genuinely one of the hardest things to learn in Japanese. There are so many things to memorize and yet it is required to really do anything in Japan. It is because of this that we focused on numbers before conversational Japanese. But now rest well, because you’re now able to use numbers in Japanese and that is one huge leap towards mastering the language.